Borsan Cable is the long-established sub-company of the Borsan Group and continues its non-stop investments in its 31st year. Adnan Ölmez, who is the Chairman of the Borsan Group Administrative Board, stated that they had started to build a new factory on a covered area of 35 thousand m2, and added that they would start to produce different cable types and led lighting products in 2016. Borsan Cable is the long-established sub-company and the admiral ship of the Borsan Group, and continues its non-stop investments in its 31st year. Borsan Cable broke the record of growth in export and internal market, and continued its success in past years, and started the establishment of a new factory in Samsun on an area of 35 thousand m2. Borsan Cable produces copper cable in its factory in Samsun, and aluminum cable in its factory in Gebze, and this year it has started to build a new factory on an area of 35 thousand m2. Adnan Ölmez, who is the Chairman of the Borsan Group Administrative Board, stated that the factory would be completed in early 2016, and added that they would start to produce different cable and led lighting products in 2016. Ölmez said that Borsan was the only company that could make production under the same brand in 3 different branches in Turkey, and added: “Borsan is one of the biggest cable producers of Turkey and performs the production of lighting products, electric wiring equipment, and group plug sockets in its own factories in an integrated style. Borsan has 1.200 ton capacity of melting copper per month, 1000 ton copper wire processing capacity; and performs its copper, copper wire and PVC granule production in its factory established on 30.000 m2 covered area in Samsun. Borsan performs its production on aluminum conductive underground cables, isolated and non-isolated aerial line cables, full aluminum conductors, aluminum conductors with steel core, aluminum wire and PVC with its 2.000 tons aluminum melting capacity per month in its Gebze plant with 16.000 m2 covered, and 14.000 m2 open area. Borsan has started the building of its new factory in Samsun on an area of 35 thousand m2 covered area. In the factory whose building will be completed in early 2016, different cable types, medium voltage cables and led-lighting products will be produced”. Borsan started to produce aluminum cables last year, and showed a 90% growth in export and internal market. Adnan Ölmez, who is the chairman of Borsan Group Administrative Board, reminded that they had started to produce aluminum cables as well as copper ones, and made big investments which were reflected on the efficiency in the export and internal market. Adnan Ölmez also told that they had 90% growth based on the data of 2014, and added that Borsan rose up to the 266th row in the First 1000 Exporters List of the TIM; and to 366th row from being formerly 546th among the 500 industrialists in Turkey determined by ITO. 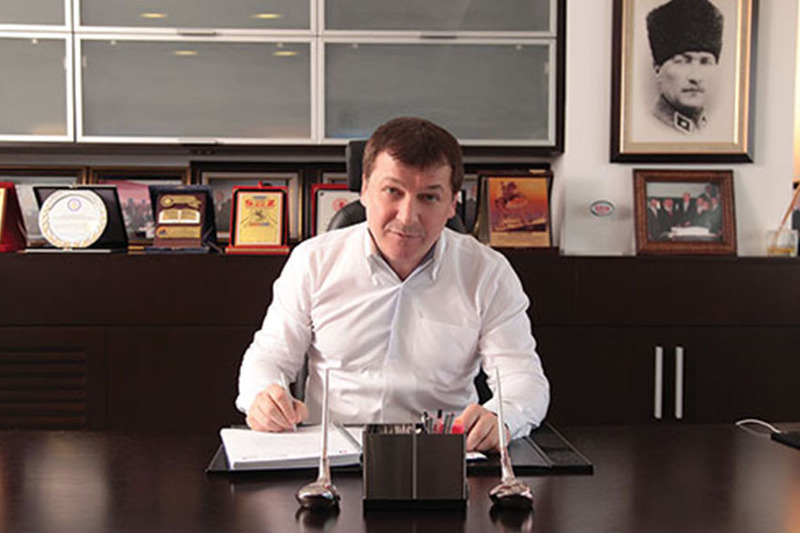 Adnan Ölmez, who is the chairman of Borsan Group Administrative Board, stated that they had started the production process in 1984 with a small workshop, and today their brand has been turned into a brand which is exporting to 65 countries in 4 continents, and added that “Borsan is at the same time the market leader in the field of its products in 8 of the 65 countries it is exporting. We invested on more production and emphasized export works, and most important of all, we made our investments on the brand of Borsan”. Adnan Ölmez stated that one of the biggest handicaps of Turkey is allowing the production of products that have no brand value, and that are low in added value, and added that “While we are investing on production increase and technology, we also cared for becoming a brand in the first place. And as a result, today, Borsan has become a respected brand in 65 countries to which it exports its products. Borsan Cable is the market leader in 8 countries now, and one of its most important goals in the forthcoming periods is increasing this number up to 15”. Adnan Ölmez, who is the Chairman of the Borsan Group Administrative Board, stated that Borsan Cable had left 31 years behind and added that they had reached their goal of becoming the global producer in the sector by purchasing the factory which produces technologic and very special cables in Italy after their Yılka Plant in Gebze. Ölmez also stated that they struggled to enter the markets like space, weapons, and robot industries, which are called as “Niche Market” in Europe and in the Americas, and added “We had struggled much to purchase a factory in Italy, which is the center of technologic very special cables for Niche Market for two years. Eventually, we achieved our goal after many long struggles. We entered the sector in a healthy style by purchasing the 75-year-old company which produces very special cable types in Italy. We have become a global producer in our sector with this 75-year-old factory which has a great ‘know-how”.